From The Kimbers Family & Farm Shop, Linley Farm, Wincanton, Somerset. Promising a delicious cut for a traditional meal, our gammon steaks are sweet, succulent and straight from our own Gloucester Old Spots. With just the right amount of rind, the possibilities are almost endless. 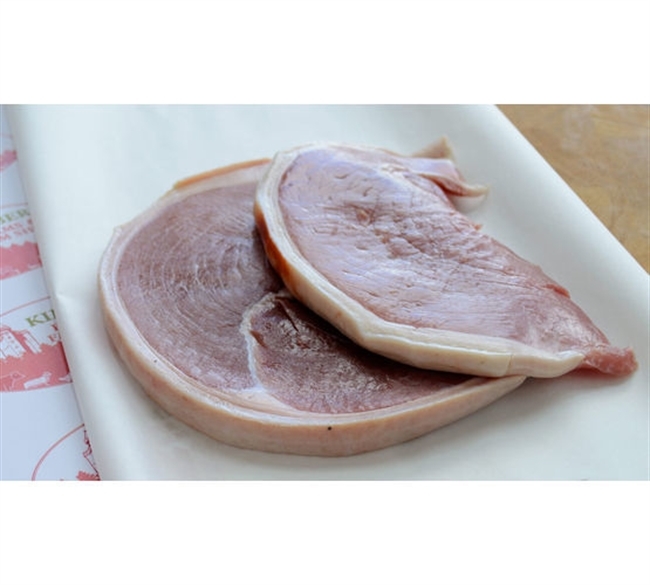 The Butcher: Our gammon steaks are hand cut by our master butcher, making them thick and juicy. Unlike supermarket gammon, these steaks are a real treat. In The Kitchen: Gammon steaks are best fried or griddled, with a caramelised edge. Serve with the classic egg and chips for a traditional British meal.